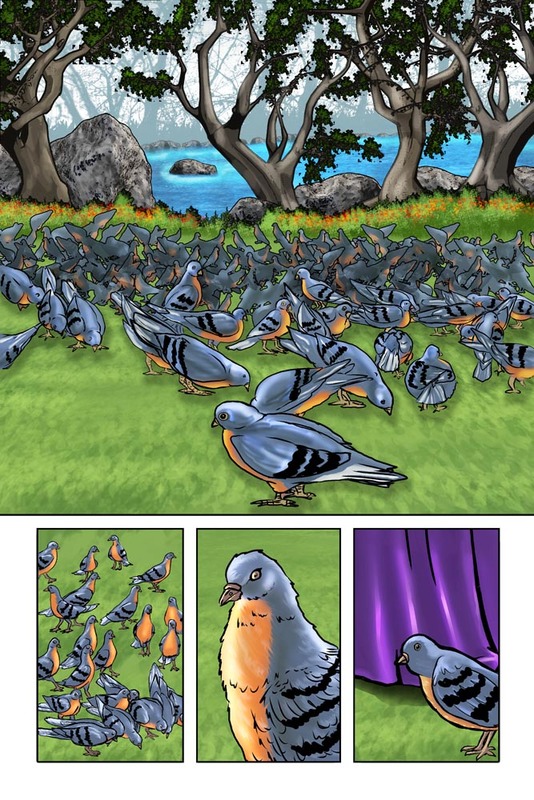 Poor Barry on top of his non-stop Ka-blam stuff, for the last couple of days my man has been coloring and lettering the book at a mad pace. I love him madly, and owe him big time. 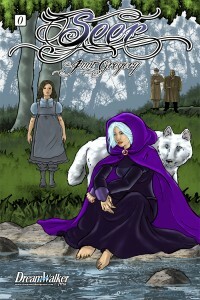 Seer #0 Cover is done! WonderCon and the debut of Seer looms ever closer! We’re gearing up for our big family trip to California! I can’t wait to see my family and hang out with my sisters. We’re also getting ready for our first time showing at WonderCon with old and new books in tow! Barry and I stayed up faaaaar too late working on Seer this weekend–the new project that’ll debut at Wondercon. We didn’t leave the house at all–and I don’t do confinement well. Seriously. I go nutz if I don’t get out of the house for at least a couple hours everyday. So…2 days trapped in the house trying to get as much drawing done while 3 restless kids -who obviously have inherited my gene for not being able to stay in a confined place for more then a few hours -ran amuck. 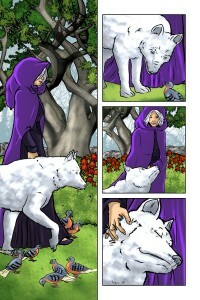 The great news is I have 1 page left to finish drawing (fingers crossed tonight) and then the drawing part of Seer DONE! Barry is doing the awe inspiring coloring. Woohoo! 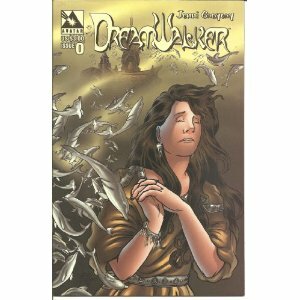 DreamWalker #0 is currently in the $250+ book club! Every once in a while something about the book pops up. I wish it was because of my mad skills, but no. The hike in price is due solely to the incredible talents of Eric Powell and his The Goon comic. Eric’s one of the most talented and coolest people I’ve ever met. Anyway, if ya got a copy of the original Avatar book–yer a lucky duck and I envy ya! I use give ‘em away at my table, or put these books on the free-bee tables at conventions. A few years ago after a storm, with a baby on the way desperately needing room, and being sick of having about 20 boxes of overstock from my self-publishing days in the garage–everything got thrown away. Good heavens do I love print on demand!